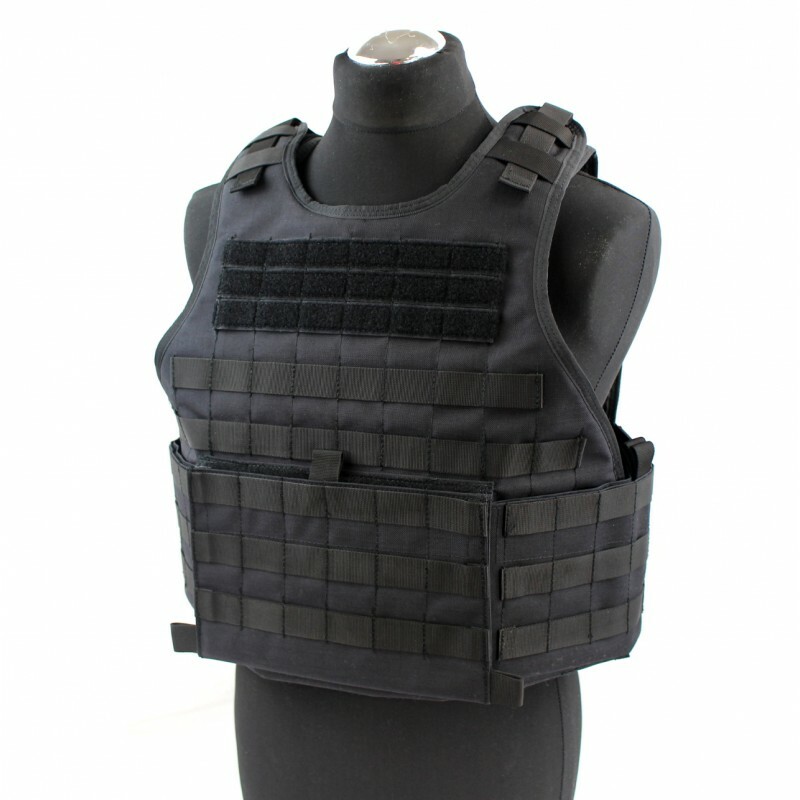 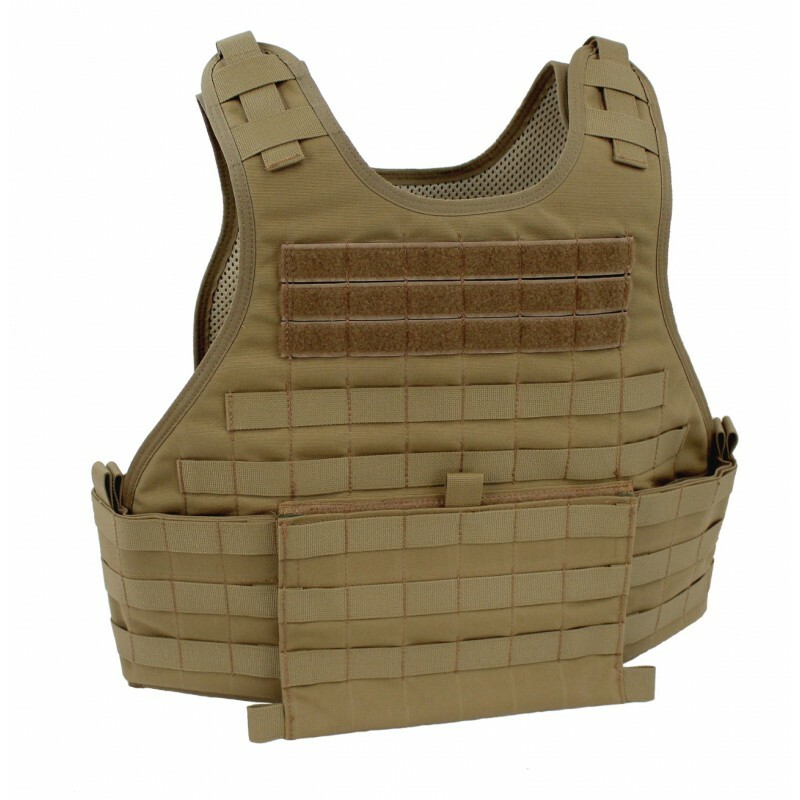 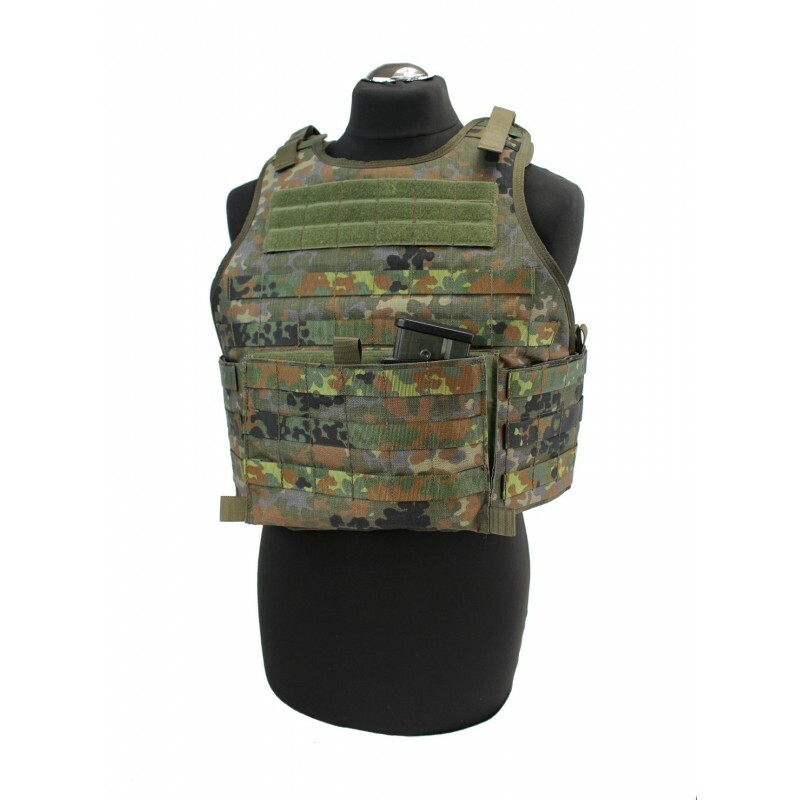 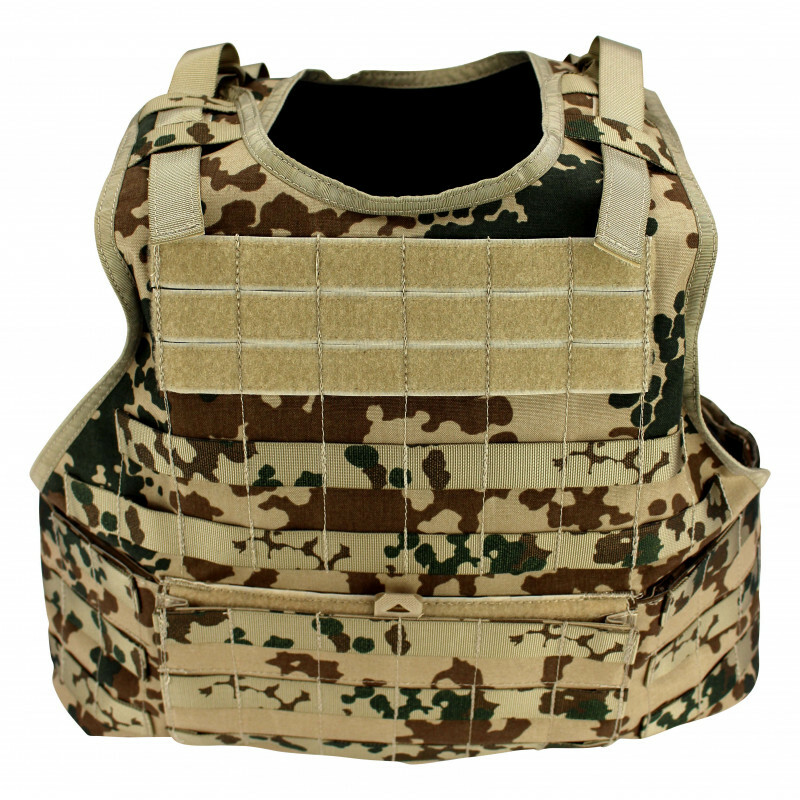 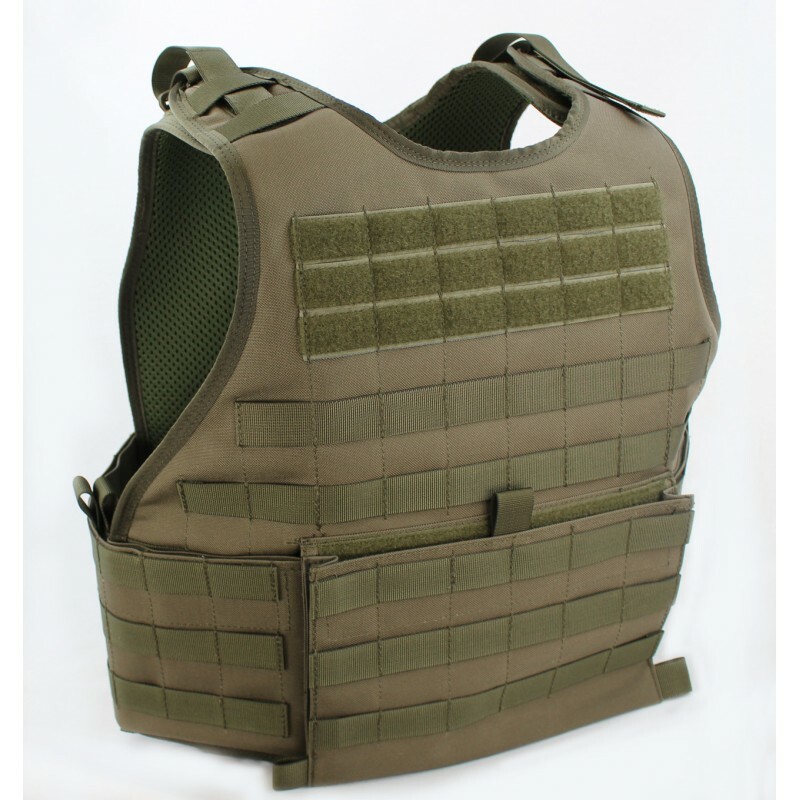 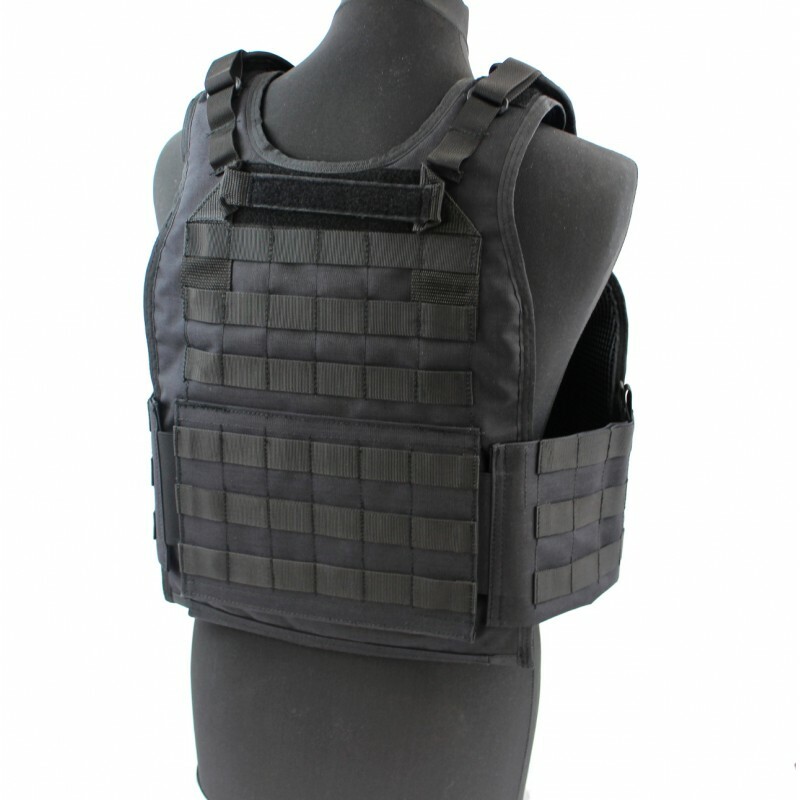 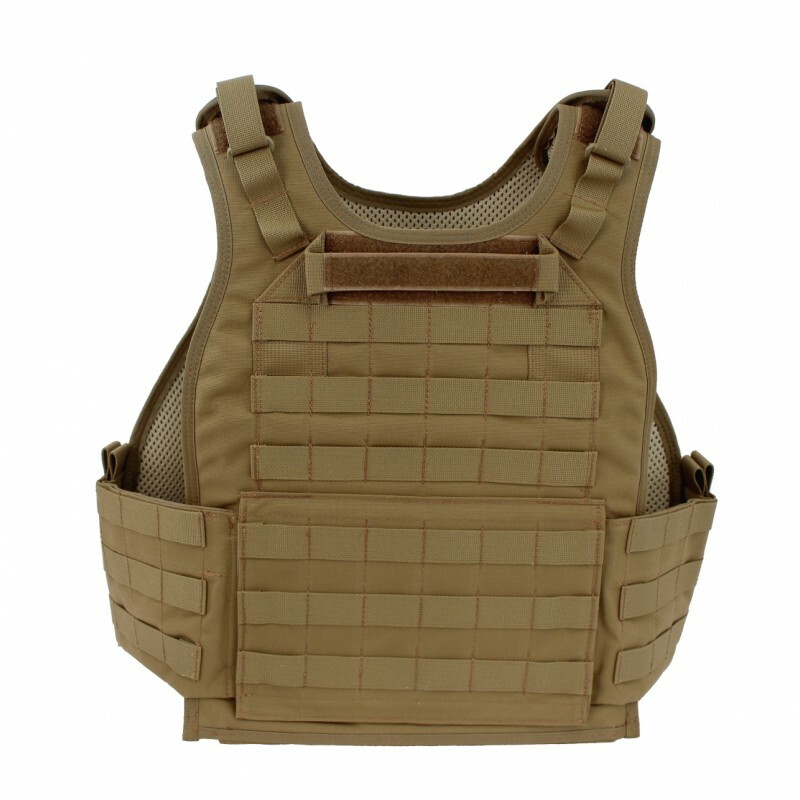 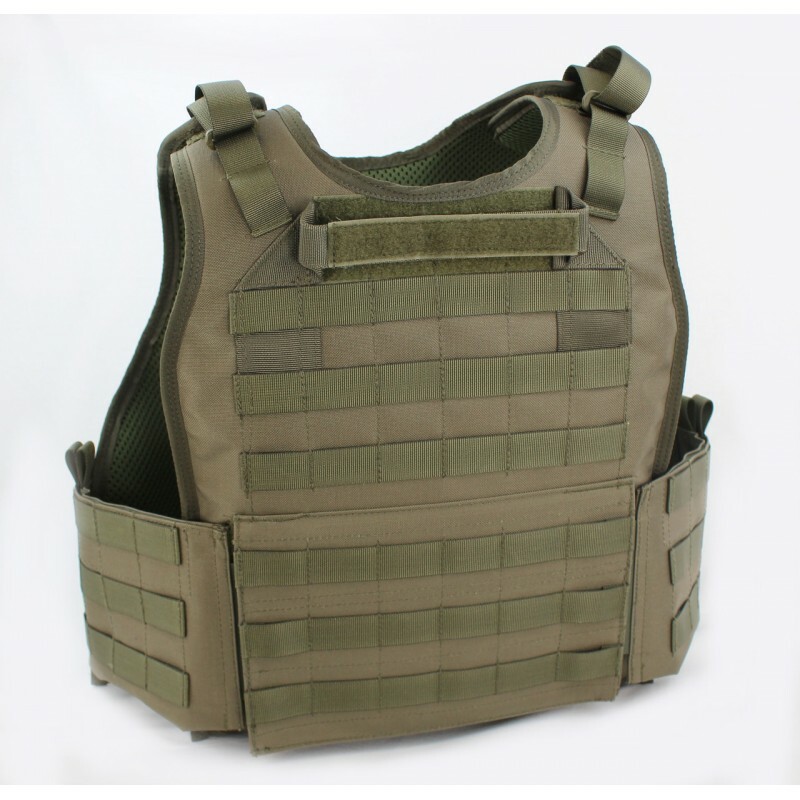 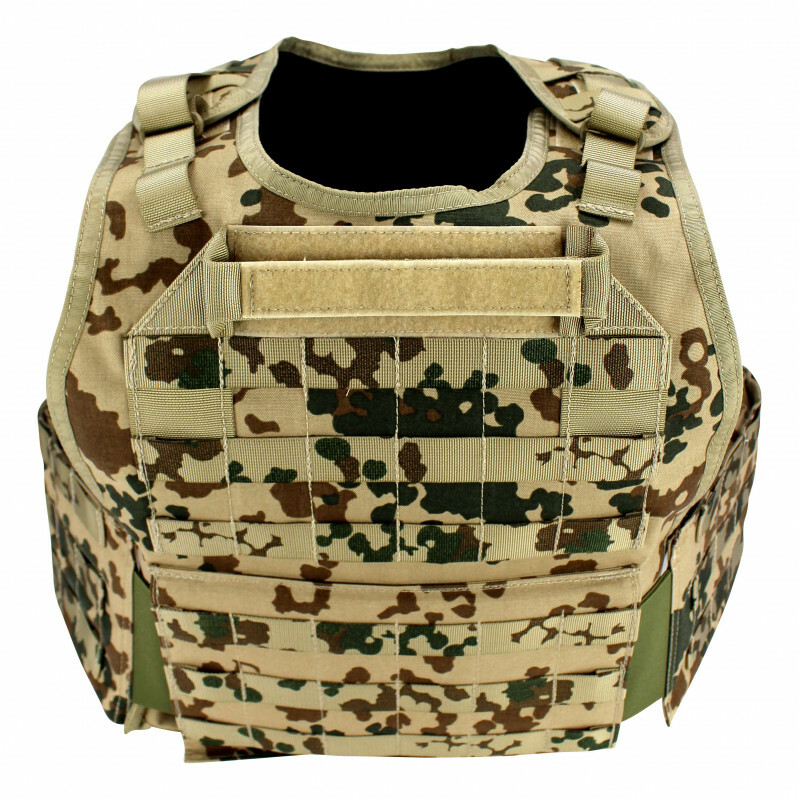 The platecarrier model "ARES" is a perfect blend of protective vest and plate carrier. 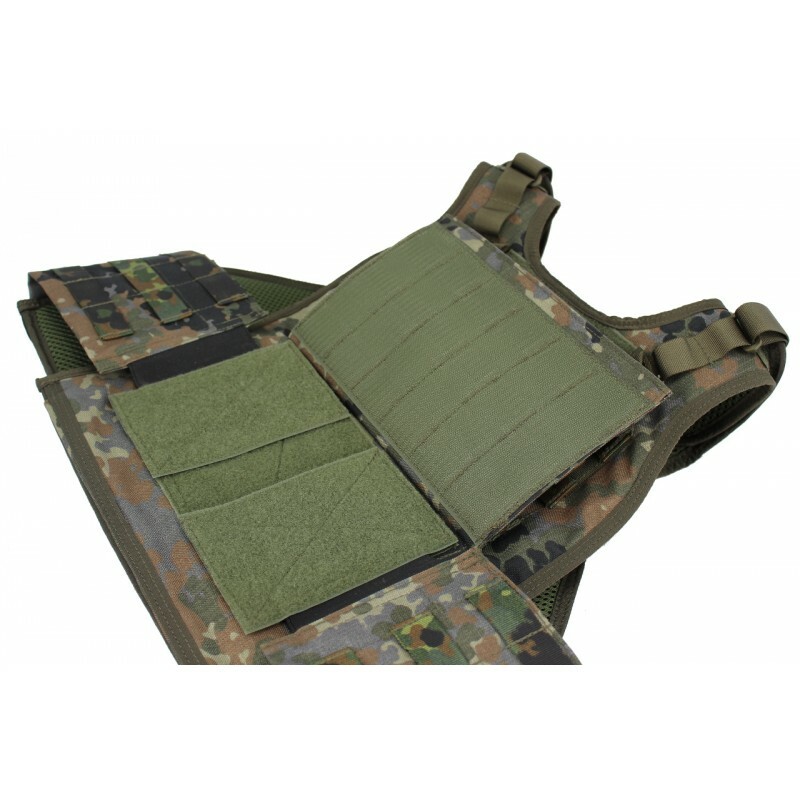 This compact system offers maximum freedom of movement and optimal comfort. 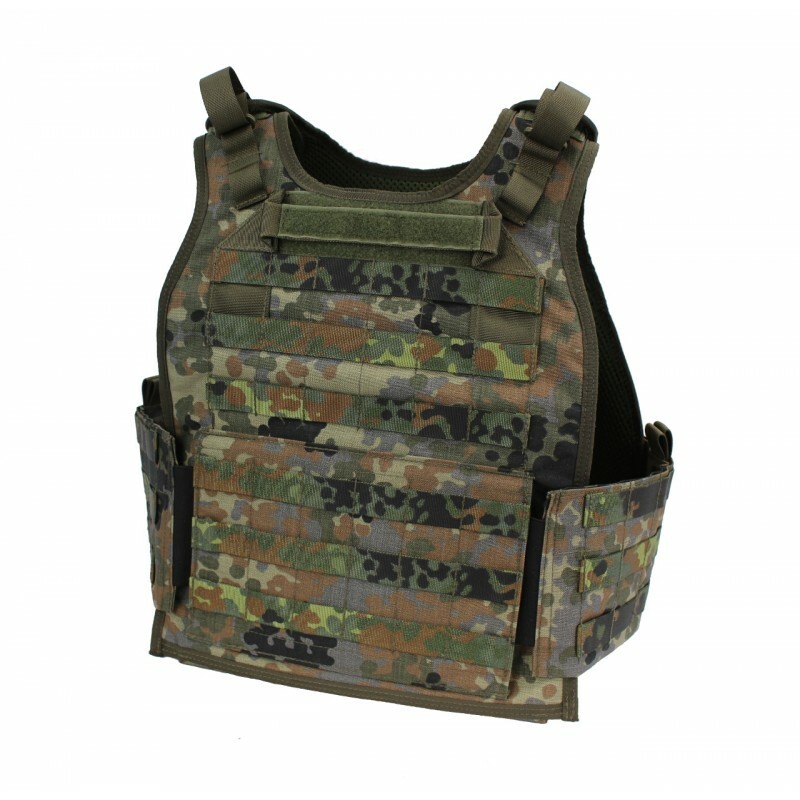 Compared to the body armor of the Bundeswehr "ARES" is designed significantly slimmer and can be very well supported by vehicle crews as well. 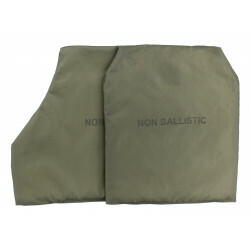 The plate holder takes on front and back two large soft and hard ballistic inserts and side small soft ballistic inserts. 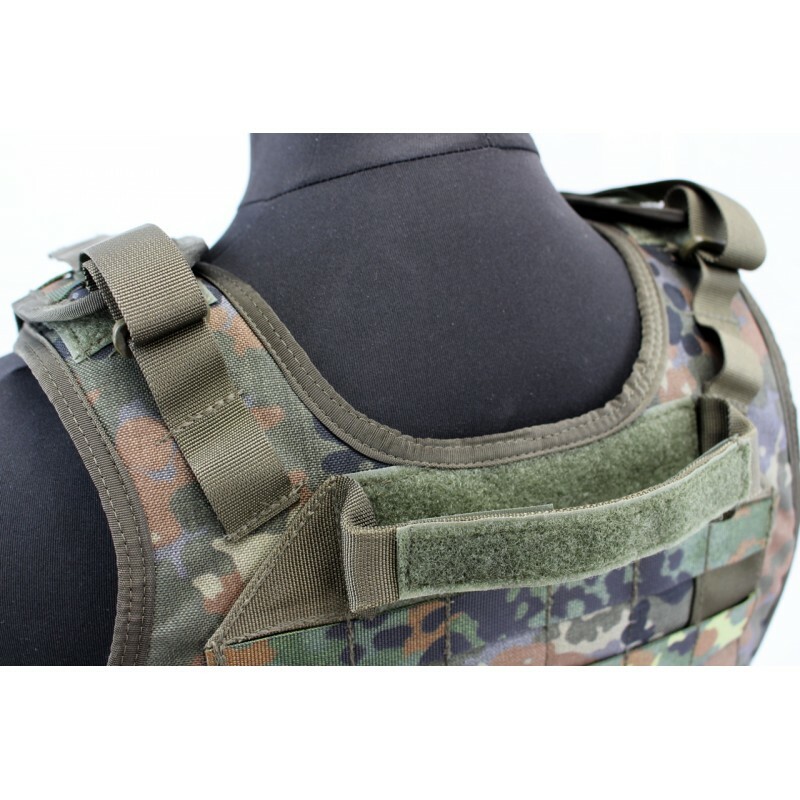 Using lateral Velcro fasteners can be the protective vest adapted very well to the body, thereby ensuring even during fast movements with equipment a good and secure fit. 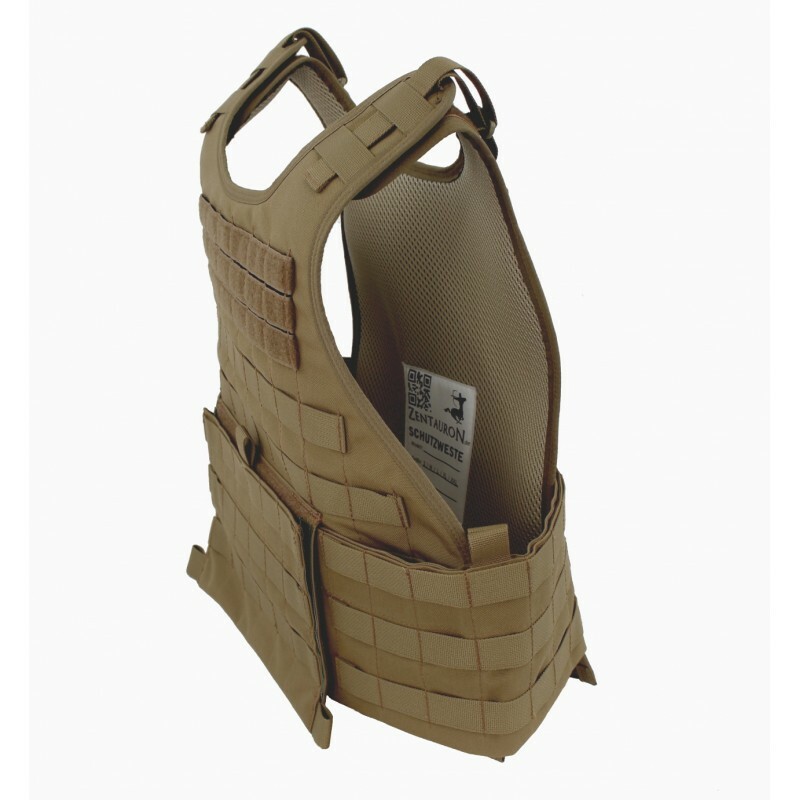 The used MOLLE system allows for maximum flexibility in the selection of equipment to. 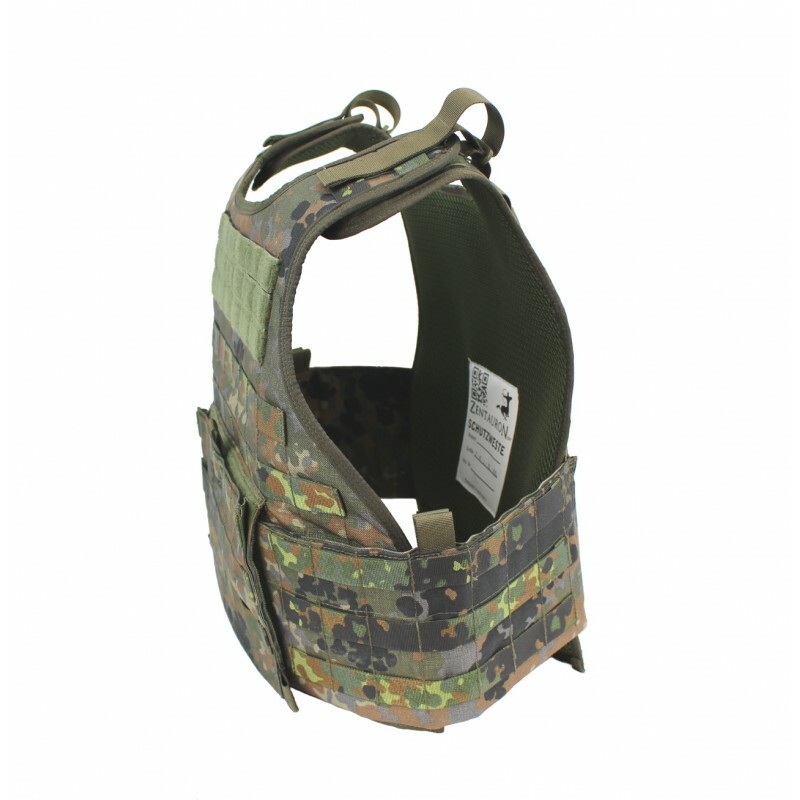 Shoulder straps that are using adapters to carry system for daypacks or hydration systems recovery strap. 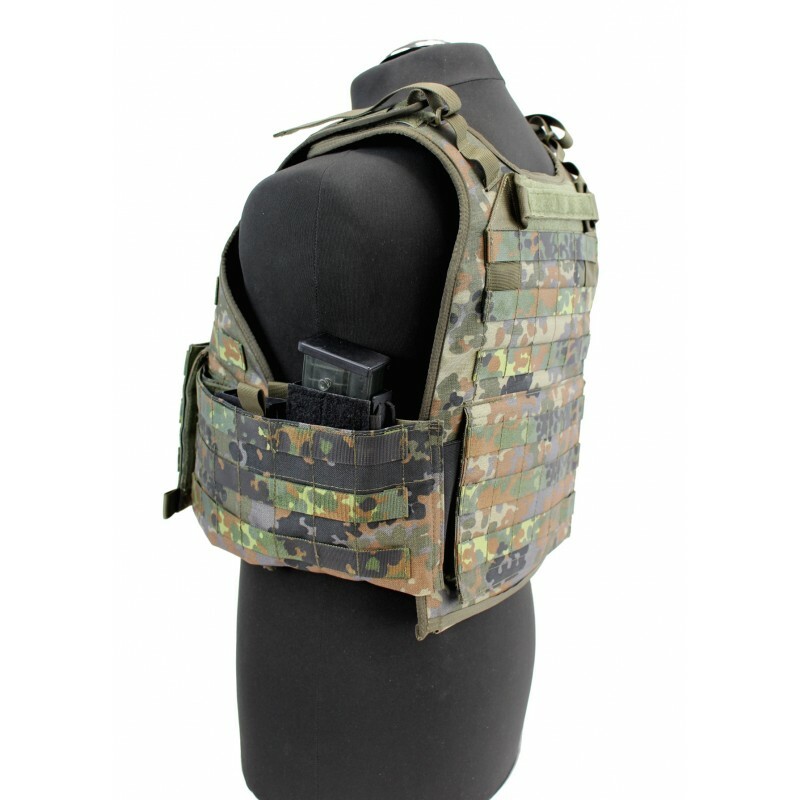 Modular loops with several pockets can be equipped with MOLLE and Velcro panels for attaching patches on the front and back. 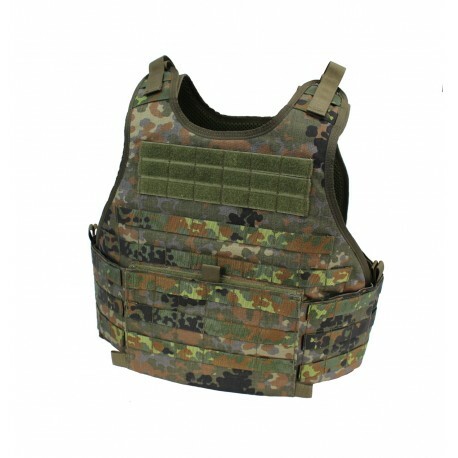 Compatible with many SK1 deposits of body armor currently used in the Bundeswehr. 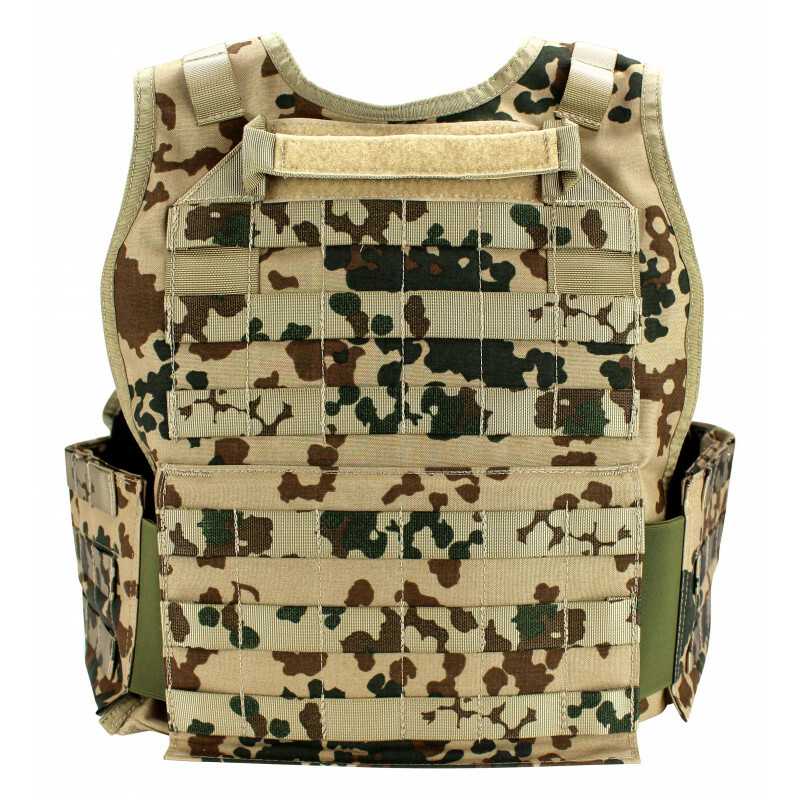 Compatible with all SK4-ceramic plates of the army and almost all other plates (25 x 30 cm). Separate receiving pockets for SK4-ceramic plates modular codpiece as accessory Vest is made exclusively from materials that meet the technical delivery of the Bundeswehr.